The HD-9XW is your 9,000-lb. rugged lifting solution if you need get something heavy up high, but you don’t have an entire garage to dedicate to the lift. Perfect for vehicle storage and service—at the shop or in the garage. Whether you're a service professional or a DIY'er, BendPak's got the right lift for you. This model is available with optional casters, dip-trays, jack platform and more. The BendPak HD-9XW is ALI and ETL Certified. Here it is! This BendPak HD-9XW is the garage lift you've been waiting for. Finally a free-standing home / hobbyist four post parking / storage lift with all the features and quality of a true commercial lift. Are you looking for an economical answer to finding increased parking space? Are you looking for a true commercial quality four post garage lift that won't cost a fortune but doesn't sacrifice quality? If you answered yes to either of these questions, then you need one of the BendPak HD-9 commercial-grade home / hobbyist four-post lifts. The BendPak 4 Post Lift is perfect for the car enthusiast who wants to be able to store and service his vehicle without spending an outrageous amount of money, yet still maintain high quality. The HD-9XW four post lift is the most versatile model in the HD-9 series. It has the same wide drive through clearance as the HD-9 and HD-9XL. It has the longer runways (2 feet longer) of the HD-9XL, but lifts a full foot higher than the HD-9 and HD-9XL. Check out the dimensional drawing in our MORE INFO tab for more detail. The extra long runways will allow you to place longer wheelbase vehicles on it, while allowing you to store a typical automobile underneath.  Store everything from ATV's, cars, motorcycles, lawn tractors and more up top. But this is not just a great storage lift. Add the rolling jack or jack plate, and you've got a full on service rack as well. Utilize all of the wasted space in your garage. Then, if you want to move it, go ahead and roll it right out of your garage with the optional caster kit. Ht. to underside of runways at top lock position - 78"
Notes: An air supply (minimum: 30 psi / 3 CFM) is required for the safety-lock mechanisms to disengage. It is solely the responsibility of the end-user to provide, install and maintain the air supply. 110 volt power unit available at no extra charge. Please specify when ordering. The wide models have two different options for runway placement. Runways can be placed 37.25” apart or 44” apart (distance between runways). Can be used for wide or narrow vehicles. Runways are 75.25” apart from outside of runway to outside of runway on HD9ST lift. If your vehicle's wheels are further apart that that, (from outside of wheels) you will need a wide model lift.